Two weeks ago, little was know about Rachel Dolezal. She’s a part-time professor at Eastern Washington University, but now her bio and course description has been omitted. Now, Dolezal, the former president of the NAACP’s Spokane Washington chapter has resigned amidst the core of a firestorm. For years, it appears Rachel Dolezal has identified as African-American and even checked off that designation on employment forms. She’s been heavily involved in civil rights and social justice issues. 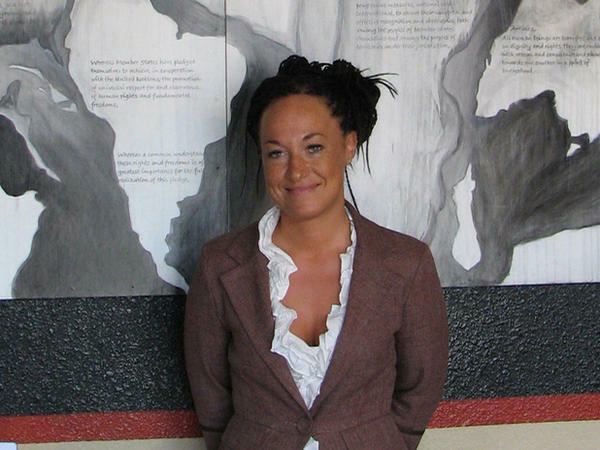 Last week, Dolezal’s parents revealed their daughter is not African-American and charged Rachel has been “passing” as an African-American. Monday on national television, Dolezal’s parents said the only reason for speaking out now was simply because they had been asked because of an investigation. Rachel Dolezal’s parents, Larry and Ruthanne Dolezal say they have not spoken with their daughter in years. Joining “A Closer Look” to talk about the saga, race and racial identity was Emory professor of political science and author Michael Leo Owens and freelance journalist Kristi York Wooten, who’s writing focuses on music and popular culture and also writes about global affairs, Africa and activism.